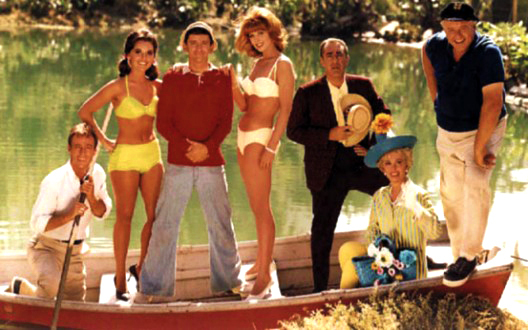 I remember spending the Saturday mornings of my childhood watching Gilligan’s Island. I never realized that you can skip any episode or even part of an episode and still be able to catch the whole plot of the program. The opposite to Lost, the TV show, where episodes typically feature a primary storyline on the island, as well as a secondary storyline from another point in a character’s life. Well, I missed the 3rd season and then I was completely lost, I wasn’t able to understand why that French woman was in the Island, never did. Anyway, going back to Gilligan, I never noticed that issue about the plot, not until I watched Cory Doctorow’s video discussing ebook pricing. He remarks that watching Gilligan required zero commitment, in other words, provided users flexibility; they did not have to stick to the show, they could watch part of an episode, go and have breakfast and then come back and they wouldn’t miss anything, they would enjoy it as much as people that have it scheduled. It is funny to compare 2 completely different shows that have so much in common: both successful, starting in an island, with characters trying to get back to their homes, with fans waiting several seasons and famous across time. This shows us how different we are. We like comedy, others like intrigue, we dislike them or we like them both. The audience of a media is so diversified, people have different interests and every day another kind of media is gaining a bit more of our attention; customers find different ways to entertain themselves, for free on the Internet or paying premium TV subscriptions. Therefore, the way to become the favorite media is not necessarily by being free because people would pay vastly different prices. Traditional publishers are looking for solutions to face the crisis that started when the Internet allowed access to free digital publications and ruined their printing business. Right now, Digital Publishers are battling against free content. How to charge customers for content when they can get the same information for free? There is a new business reality with the Internet, when a new media comes along displacing another, that’s a natural phenomenon. Memberships: pricing privileged information, members get enhanced content. Manufacturing model: It works just like first-copy costs plus run-on costs – it doesn’t involve sustaining and spreading fixed costs across a longer time horizon. Software model: used by Digital Distributors. Pricing by spreading the costs (and profit expectations) of a product across its anticipated customer base for a particular release and support time-frame. It charges both what the market will bear and what the provider needs in order to recover the investments made in the infrastructure, while also making enough for ongoing improvements, enhancements, and maintenance. The last model is used by Apple, as Kent Anderson discusses in his article, Apple’s per-song rate continues rising, with many songs — especially more popular ones — now selling for $1.29 each, essentially a 30% price increase. This shows the distributor power Apple can wield when they create a full distribution value-chain: files > store > e-commerce > device. Knowing their costs and having the distributor model, these business know how and when to raise prices. There are several opinions about pricing, Clay Shirky invoked the “marginal cost” argument in his most recent book, “Cognitive Surplus,” stating that, “Information can now be made globally available, in an unlimited number of perfect copies, at zero marginal cost”. Kent Anderson says: “If we begin to think of content as software -issues as releases, support as provision and maintenance- and have a relatively stable customer base, we can begin pricing online properly. We just need to allocate the costs properly”. I agree with Cory’s opinion, pricing in digital publishing needs to cover the broad spectrum of needs, keeping the options open for writers and readers, maintaining autonomy and thinking: Is there anything there for the reader that stops him from going to another media, to another platform? If yes, price it. Although piracy makes it affordable at the bottom of the market, there is a audience for everything, people who pay £5 for a flight ticket or £500 for a business class ticket. It is all about negotiation. And if we haven’t found the right model to price, we should keep looking, maybe it could be on an uncharted island somewhere in the Pacific Ocean. Is there any privacy on the web?